In today’s competitive environment, project teams are pressured to deliver projects faster while maintaining quality. During a project, the team defines the project scope and develops a project schedule to determine project duration and costs. The process of translating project scope into an actionable task can be a tedious one. Project managers are often looking for accelerators to improve project delivery and lessen the administrative burden. MindGenius solves this problem by providing an easy transition from project scope to an actionable project schedule in 6 easy steps. Conducting a brainstorming session to gather requirements and organizing the ideas into a mind map is an excellent way to define project scope. In Figure 1, MindGenius was used to collect and organize project requirements for a training website. Developing a new website will require course catalog content, payment methods, web-based courses and the underlying technical architecture. Sales and marketing plans also need to be implemented. MindGenius takes the results of a brainstorming session and easily organizes thoughts and ideas to help project teams think visually. Formal project management organizations often use a work breakdown structure (WBS) to define the scope. Using MindGenius, project managers can switch from the organic brainstorm map diagram to a structured work breakdown structure format with a click on the button. In MindGenius, Select Home - Map Layouts and select the affinity map layout to change the map layout (Figure 2). The next step is to assign dependencies between the tasks in the work breakdown structure. Select Tasks - Gantt View from the MindGenius navigation bar. The mind map will turn into the classic Gantt Chart. In the Predecessors column, enter the task number of the preceding tasks. 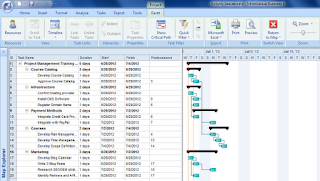 The Gantt Chart will adjust based on the task dependencies (Figure 3). 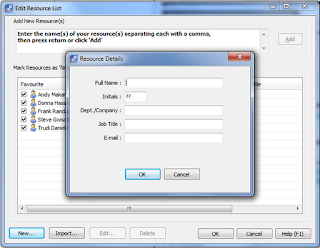 Tasks can be added, removed and moved throughout the task outline. Any change to the tasks in this view will also be reflected in the mind map view. MindGenius creatively allows project managers to work with the data in the view that makes the most sense for the job. Users don’t have to worry about data loss as the various views use the same underlying set of data. Once tasks have been defined and put into the proper sequence, the next step is to estimate the duration of the tasks. Task durations are expressed in either days or hours. MindGenius also supports effort based estimates using the Work field in the Tasks navigation menu. Double clicking on any task will allow the user to adjust a variety of task parameters include start dates, finish dates, milestones and costs. MindGenius enables project managers to define their project team in the tool and assign them to specific tasks. 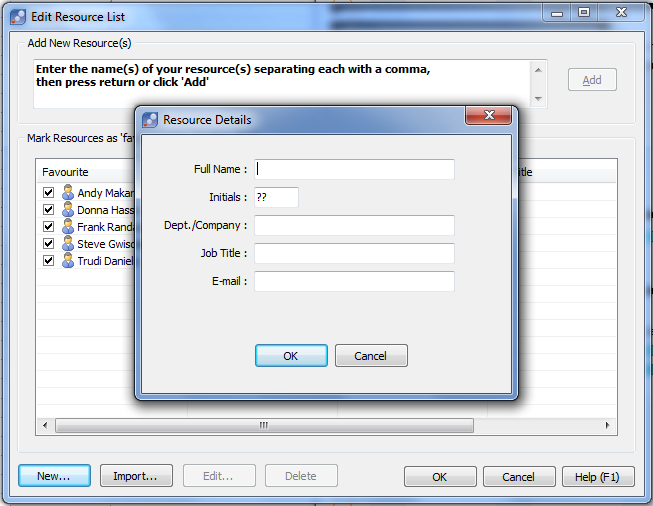 Double click on the Resource column and select Edit Resource List. 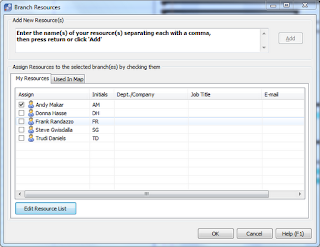 Figure 5 provides a dialogue box for the project manager to add team members to the project. Once the team is defined, the team member can be assigned to a specific task by clicking on the check box (Figure 6). Multiple team members can be added although a best practice is to define the tasks at a detailed level so only one team member is assigned. This allows the project manager to track the specific work and team member progress throughout the project. In Figure 7, the project schedule has team members assigned to each task. 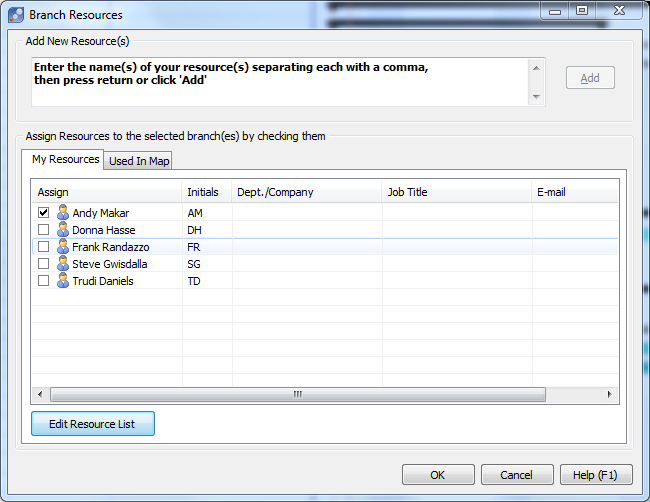 MindGenius appends each name to the Gantt Chart for easy tracking. 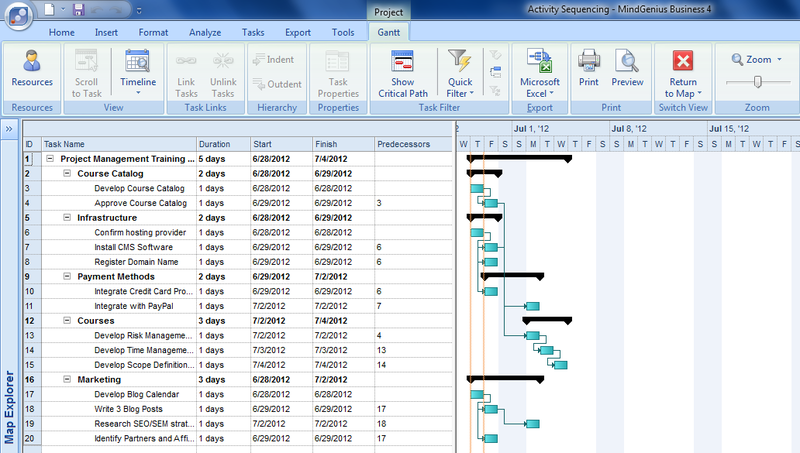 The project manager can switch back to the mind map view by selecting the Gantt - Return to Map button. The result is the WBS view with assigned resources, date icons and progress indicators (Figure 8). The next step demonstrates MindGenius’s unique ability to create a resource mind map view of project team assignments. Once the project schedule is developed, project team members need to know their specific tasks. By selecting the Task - Create Resource Map button, MindGenius will create a mind map that organizes the tasks by resource. Using the Map Explorer in the left window pane, the project manager navigates and filters the map by resource to see resource tasks. Each individual resource map can be exported and distributed to each team member. By capturing the assignments visually, project team members have an easier time understanding their full scope of work. If this is a small project, the team can continue to use MindGenius to manage the schedule. If it is a larger project that requires detailed scheduling and refinement, the entire mind map can be exported to Microsoft Project. Select Export - Microsoft Project from the navigation bar and the MindGenius map will be exported to Microsoft Project. MindGenius was built to integrate intelligently with Microsoft Project rather than replace Microsoft Project entirely. Task data including milestones, start, finish dates, resources and costs will all easily export to the Microsoft Project schedule. Dr. Andrew Makar is an IT program manager and maintains a blog on project management. He’s got a few useful Microsoft Project tutorials, too! He frequently publishes on Gantthead.com (www.gantthead.com) and additional published works have appeared in Projects@Work and Software Test and Performance Magazine. He is also an adjunct professor at Lawrence Technological University and Davenport University. The purpose of a Management Review is to assess how well processes and/or management systems are performing to ensure that they continue to be fit for purpose and to identify opportunities to improve the processes/management systems being reviewed. As such it is good working practice for organisations to carry out regular Management Reviews. It is also a requirement placed on many organisations by their regulators and/or the standards to which they seek to comply with. 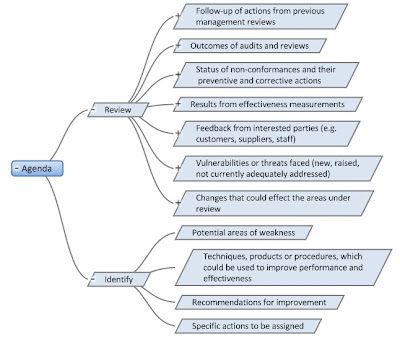 Unfortunately some organisations perform management reviews just because they have to. They need to tick a box. What they don't realise is that they are missing a great opportunity to stand back, assess the current effectiveness of their processes and management systems and initiate focused improvement which will benefit the organisation, its customers and stakeholders, and its staff. MindGenius is ideal for organising, performing and recording the outcomes from a management review. 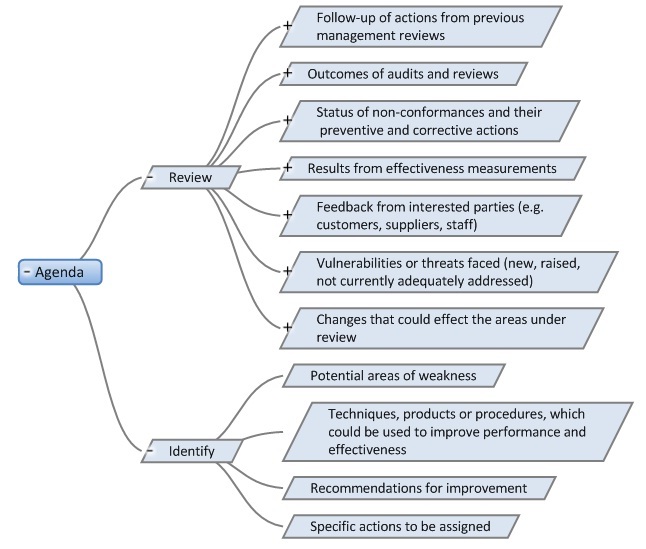 It can provide the framework for the management review, the 'skeleton' on which all of the information, discussion points, suggestions, decisions and agreed actions from the management review can be attached. It provides a map of the whole proceedings and once completed, provides a valuable record of what happened and the outcomes from the management review. It is important that the management review is comprehensive in what it addresses. The agenda sets out the areas to be covered the sequence in which they should be reviewed. 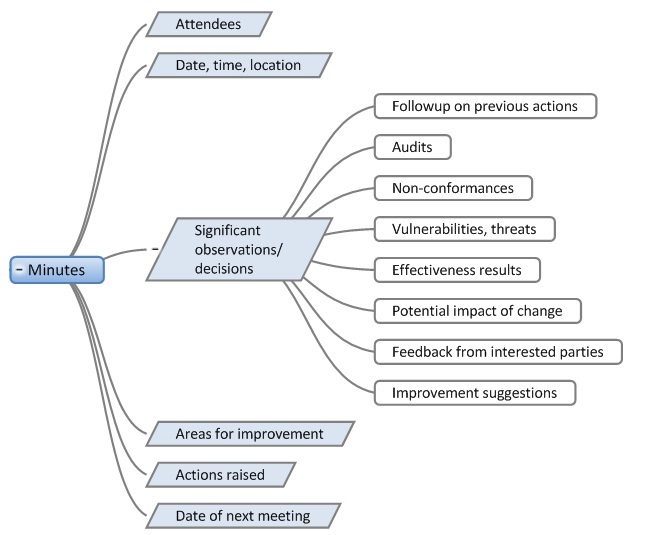 In each area for review, the parent branch can be expanded to reveal the evidence available for review and the questions that the reviewers should be asking to help them ascertain the health of the area under review, identify areas for improvement and to make recommendations for improvement. Raw data on which the management review is to be based can be attached to the appropriate branch within the map. The map should be made available to the attendees prior to the management review so that they can adequately prepare for the meeting and the management review can be more focused on agreeing areas of weakness and appropriate corrective and preventive actions. The ‘Minutes’ parent branch provides the structure to be followed to generate the minutes of the management review. Most of the information can be copied and pasted from the information recorded during the reviews of the individual agenda items. The minutes section can be generated quickly and agreement reached with the participants at the meeting. The management review map can be stored and sent electronically to the management review attendees so that it is available to them when they return to their desks and they can immediately make a start on any actions assigned to them. 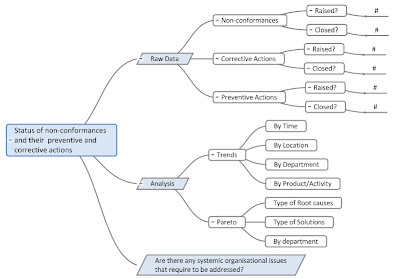 You might want to consider creating a new map for the next management review and allow the attendees access to start to add raw data to the appropriate branches as and when such information becomes available. For example if a customer makes a specific comment then this could be added. In this way the map builds up over time so there is no last minute scurry to pull the information together and it is less likely that items will be missed. If raw data is being collated on an ongoing basis from other systems in your organisation then you can provide a link to this information to access the up-to-date information. This ‘real time’ aspect of the map generation can provide an indication if an earlier management review is required, as the normal period between management reviews is not judged to be appropriate in this instance, and gives management an opportunity to act in a more timely manner. I hope this gives you some ideas on how you might use MindGenius to help you to have more effective and beneficial management reviews. As ever, if you have any questions or queries, ask Gordon.